Located in Brooklyn, New York, RX Warehouse Pharmacy has been servicing the Brooklyn community for over 10 years. 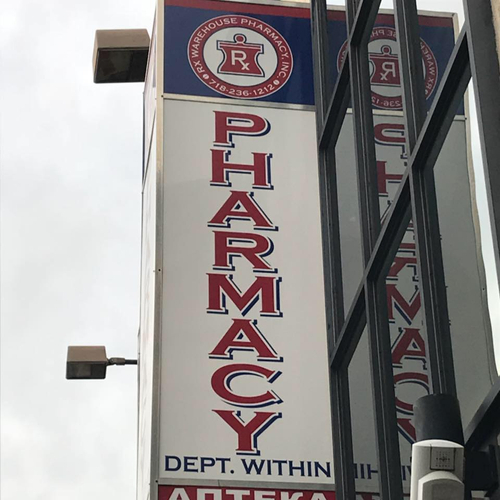 Specializing in providing services for those with complex medication needs, RX Warehouse Pharmacy is staffed with three full time pharmacists, six pharmacy technicians and one part time physician. In addition, RX Warehouse Pharmacy provides the convenience of local courier home-delivery, and /or delivery by Federal Express or US Mail. If there is a need to consult our bilingual pharmacy staff, you are provided with toll-free access to our pharmacy. RX Warehouse Pharmacy has always understood the need of our clients to adhere to their medication therapy. Inna is a graduate from Long Island University '96, with over 20 years of retail experience. She speaks Russian, Ukrainian, Polish and Hungarian languages. She is knowledgeable in holistic and natural medicinal approaches, is a diabetes specialist and provides service based on individual needs. Celeste has been a great addition to our pharmacy. She speaks Spanish which is helpful to our customers who face a language barrier. She is very helpful, polite and has lots of patience to help you with your needs. Daniel spends his days helping customers find their products in the store as well as provides customer service.